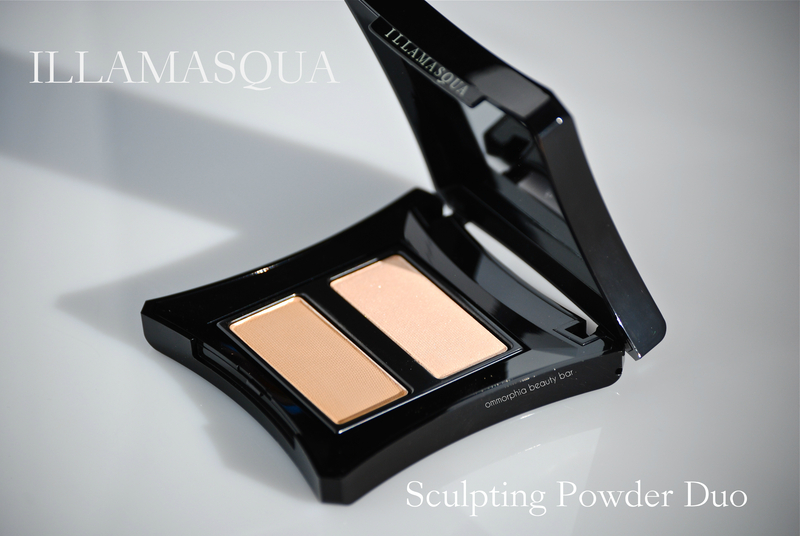 The Sculpting Powder Duo from Illamasqua, is one of those products that once you begin playing with it, makes you wonder how you ever completed your makeup without it. 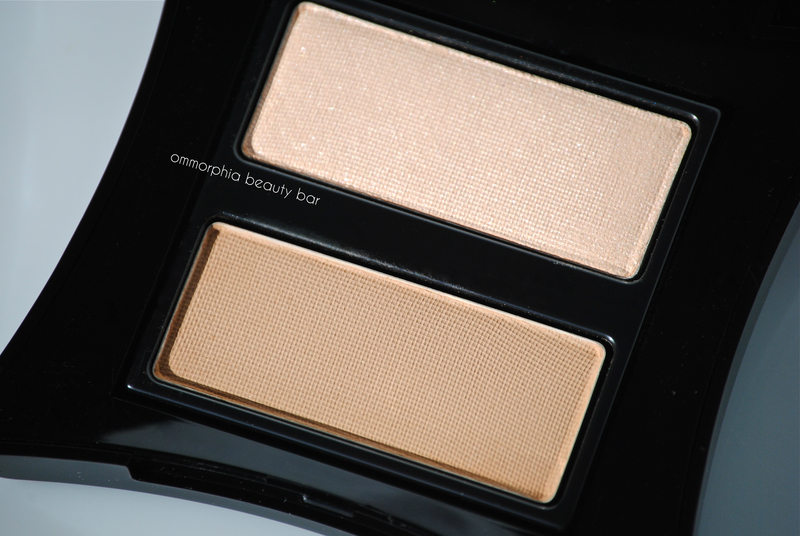 The hues are straightforward and universally flattering: the highlighter provides lustre without appearing garish, and the contouring hue is one of the easiest to apply I’ve ever come across. 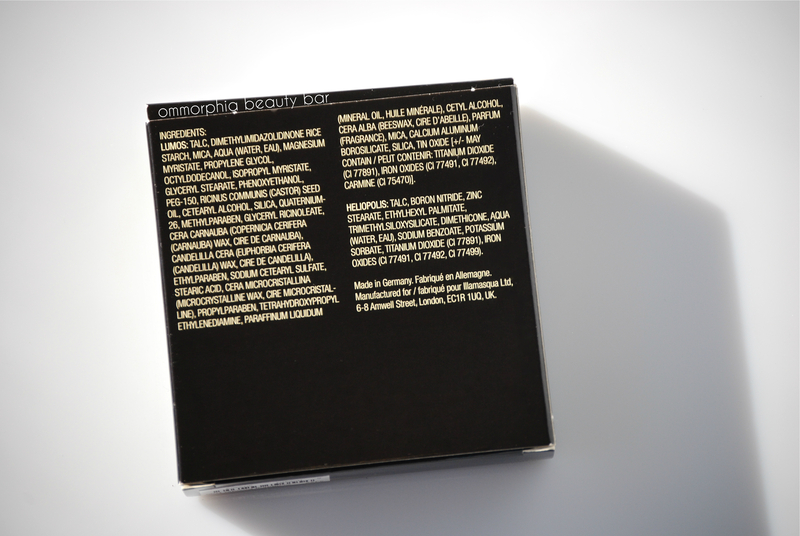 Then again, I’m not surprised; it is, after all, from the brand that has elevated makeup to an art form. 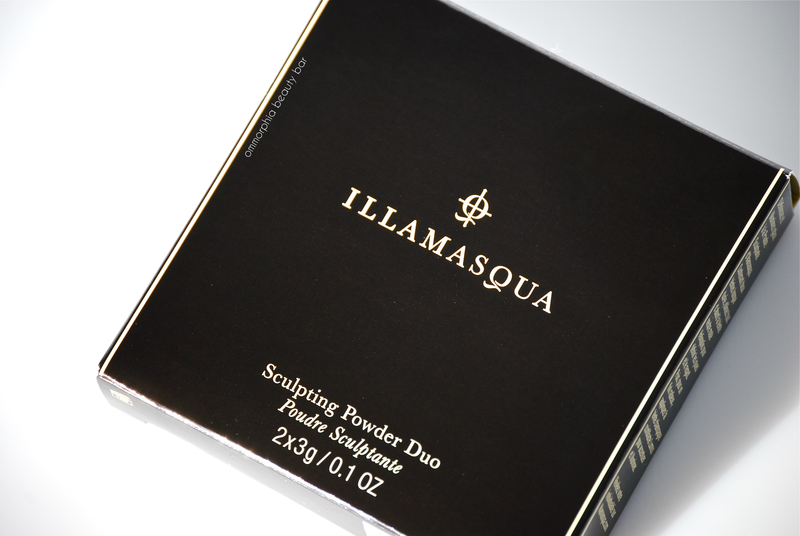 Sculpting Powder Duo (CAN $36.00) – A two-tiered product which features a highlighter (Lumos) on the top half and a contouring product (Heliopolis) on the bottom half. This oyster/champagne coloured highlighter has a hint of peach in the base, which serves to provide a beautiful warmth and even though this is a powder product, it buffs easily into the skin for a gorgeously believable glow. 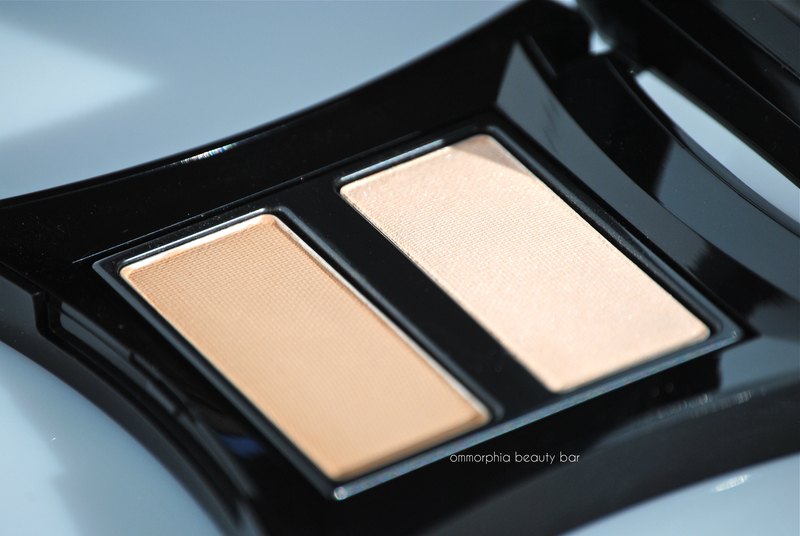 The contouring shade is a mid-toned earthy hue, neither too tan nor orange leaning, and the finely milled powder helps it blend effortlessly into the skin without appearing muddy or dirty. Lasting power is about 6 hours for the highlighter (until it merges with your skin’s own natural oils) with the contour going easily a full 9 hours (especially if you don’t rub at your face excessively). Those with darker skin tones will most likely not see much colour payoff with the contour, although it will work well on those with fair tones, provided it is applied with a very light hand. I’ve only been contouring and using highlighters for a few years now (when you’re younger, those 2 steps are the LAST thing you ever think of), but I’ve come to rely on the finishing touch each gives to my completed makeup look. Highlighters are not a one-size-fits-all type of product and depending on the occasion (not to mention you personal preference), you may want to have more than one type in your beauty drawer – I confess to having amassed quite a collection, from silvery hued to golden toned, and in varying formats as well: powder, cream, stick, and lotion. 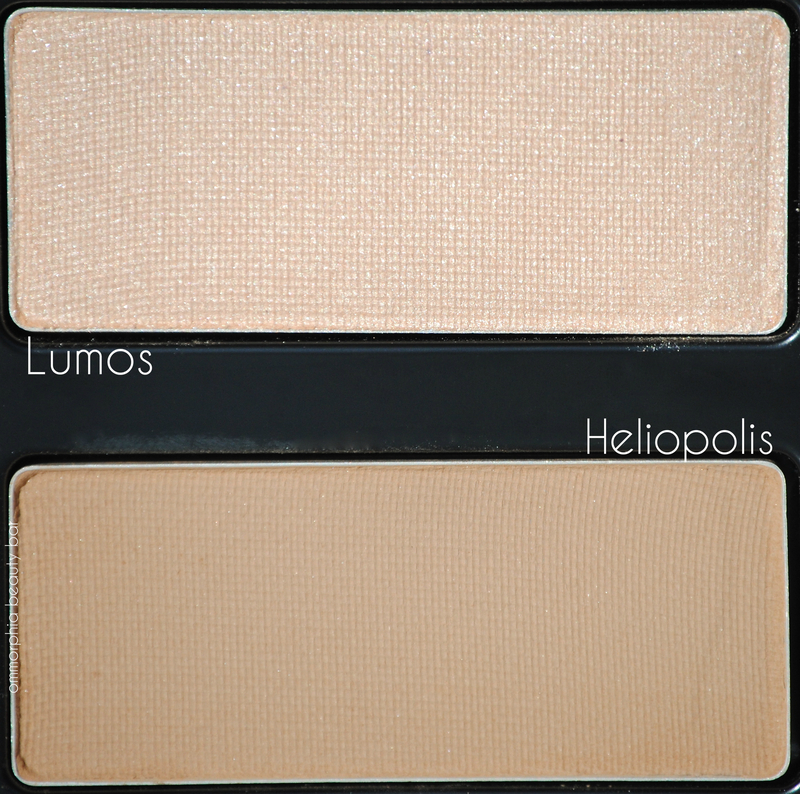 The Lumos (highlighter) shade of this duo is a hue that should suit a wide variety of skin tones and as it’s not overly shimmery, it is a great product to wear during the day. There is some powdery kickback when you swirl your brush in the pan – nothing a good solid tap can’t solve. Heliopolis (contour) is a light sienna hue and quite pigmented; a little really does go a long way, so I suggest starting with a scant amount on your brush and increasing to your desired intensity. This shade provides enough contrast to contour in a natural-looking way, and with thorough blending, will help “sculpt” your face – thus giving your features a nice definition. I’ve been experimenting with various types of contouring and highlighting products lately, and while crème versions offer the simplicity of not needing anything more specific than your fingers for application, I also happen to like the feel of a brush sweeping along the planes of my face. 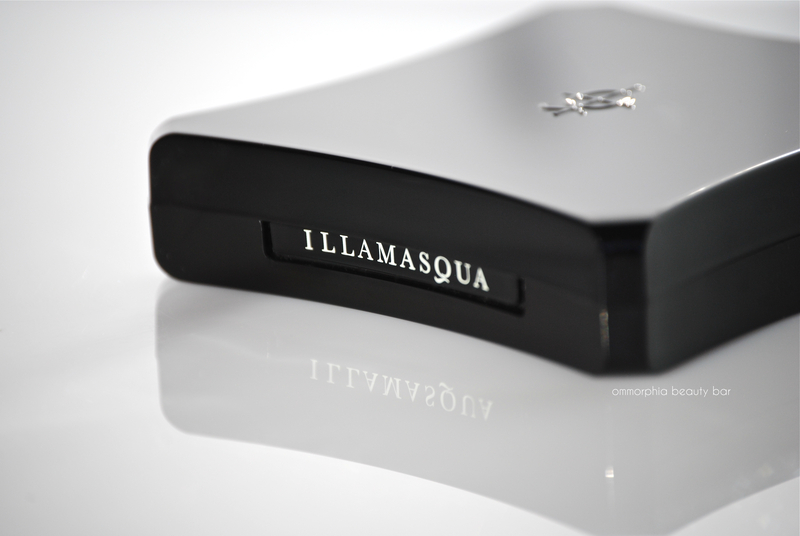 It doesn’t hurt that from the many powder versions I’ve tried, the Illamasqua Sculpting Powder Duo ranks supreme among them and considering the fact that you’re getting 2 generously sized products in one compact (so convenient for travel as well) at such a reasonable price, it’s well worth looking into. 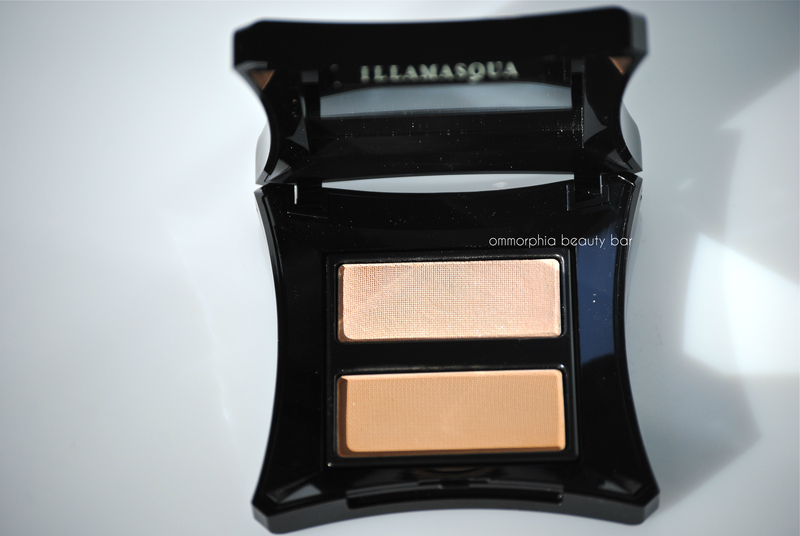 Do you know how that contour color compares to Illamasqua’s Hollow? That’s one of my absolute favorite contours, but I love this handy two-in-one kit! Unfortunately I don’t own Hollow, but I’ve heard that it’s a great substitute for this Duo … and now I think I need to own Hollow, lol! I dabble in contouring here and there, but rarely give it a real shot. I like the idea of a set being prepared and ready to go already! 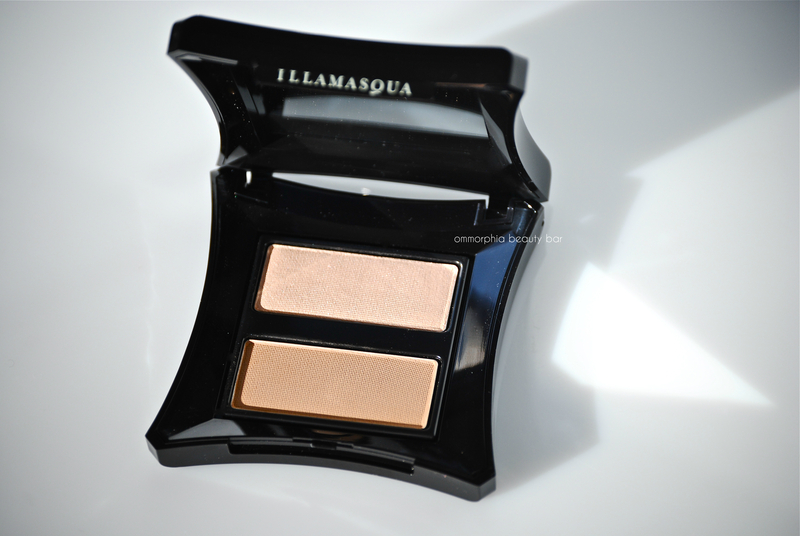 The dark contour shade is much darker swatched than in the pan here. On a day to day basis, I won’t often contour, but I definitely indulge when I’m doing a more complete look. Bear in mind that for swatches, I always apply more than necessary so that the shade can appear clearly in pictures. It’s actually not that dark in person, although it can get a lot deeper as you build it – the pigmentation is quite strong. 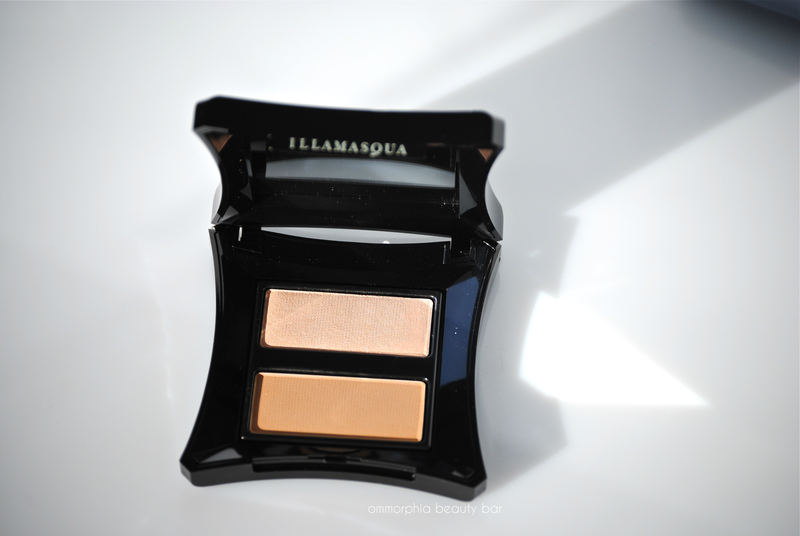 A lot of contouring products are so dark there is no way I can wear them but this actually looks great! Price seems pretty fair, too…or maybe not getting that much in the two pans. Does the amount seem comparable to similar products you have? Even though you may be getting less than if you bought each item individually, I must say that the portions are quite generously sized and should last quite a while — unless you’re the type who contours and highlights like a fiend! The good news, is that even if you run out, it’s not a limited edition product so no need to start stockpiling! 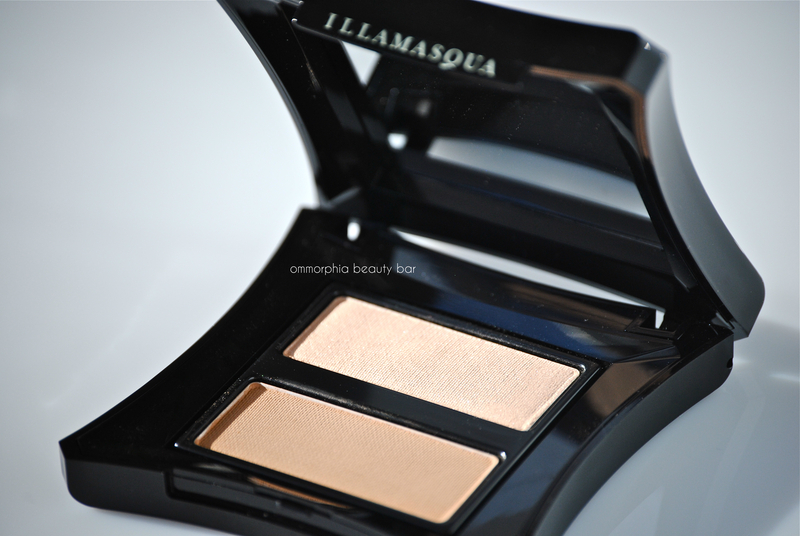 I like the Illamasqua brand. I hope to buy more from them this year. This is a phenomenal brand and considering the exceptional quality you get with each and every product (if you haven’t tried their nail polishes, you’re totally missing out! ), everything is quite reasonably priced as well! I have their polishes. Thanks! I’ve wondered about this one! Do you think it would be too dark for me Big Sis? This is so gorgeous, and I am in LOVE with their packaging!!! 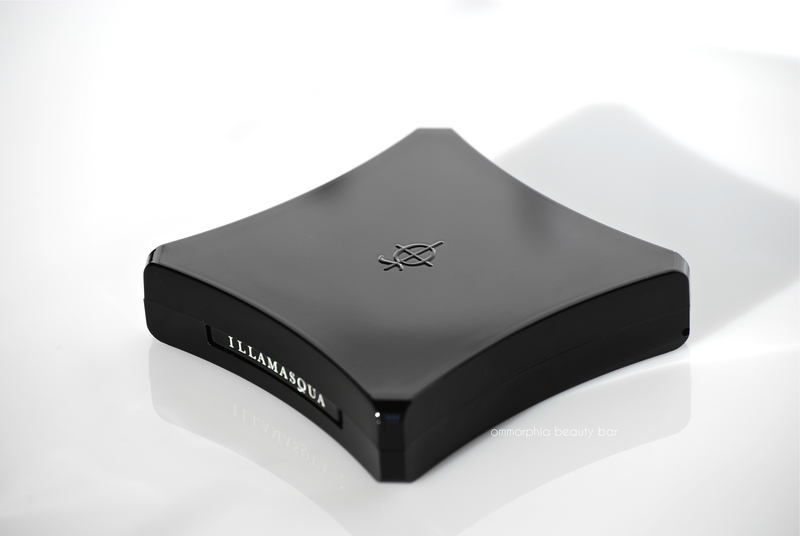 I also love all the detailing that goes into every product from Illamasqua – from the names, packaging, shades, quality – everything! Yes, their Nail Varnish is amazing.. I can’t make that stuff chip on me! Oh thanks for this review. I’ve been curious about this one. Then when I think about getting it, I’m also reminded how I’m too lazy to contour most of the time. LOL! Hahaha! I know EXACTLY what you mean! 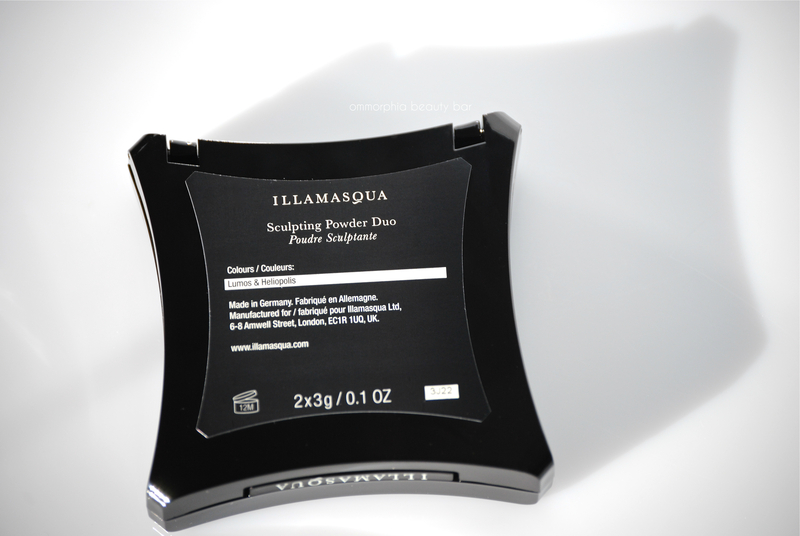 Who has the time for precise application, then going for the perfect blending? But since this is a powder (and not super dark at that), I actually found it goes quite quickly. I’ve even tried it out as a bronzer (using a fan brush), and since it’s not shimmery, it works great that way as well!